A lot of us believe that De Beers’ success story is based on the fact that it controls supply. However, the company has unlocked greater value for itself through it’s marketing campaign through which it has managed to create a permanent aspirational demand for a product which basically had no demand earlier. The ‘a diamond is forever’ campaign was launched in 1914. The aim of the campaign was to connect the product, which basically is a commodity, with feelings of love and commitment. 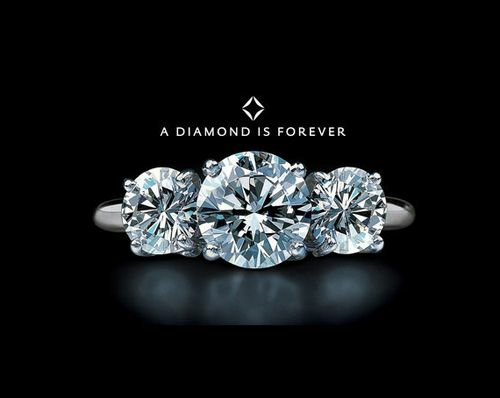 The campaign was able to do just that and the diamond became the symbol of love and the standard stone to be used in any engagement ring. The impact of the campaign was so strong that the trend is prevalent even today and is showing no signs of any change going forward as well. In fact, the diamond is now a standard gifting stone for occasions such as anniversaries, birthdays etc. as well. What De Beers was able to do was to move its product out of a zone where people value it based on pure supply-demand factors and into one where the core demand and value comes from human emotion and aspiration.